Executive Order Gives Pay Raise to Vice President, Members of Congress and Federal Workers-Truth! - Truth or Fiction? 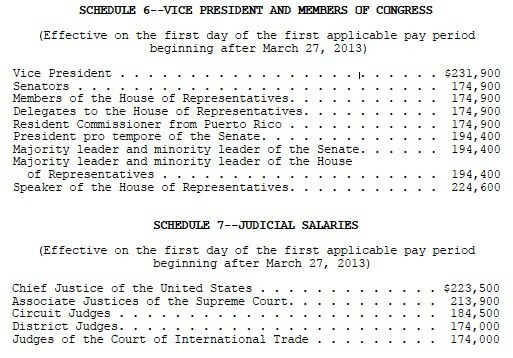 Executive Order Gives Pay Raise to Vice President, Members of Congress and Federal Workers-Truth! Allegations went viral on the Internet saying that as President Obama and legislative leaders worked to avert the “fiscal cliff” the President handed out pay raises by means of an Executive Order. The Executive Order was signed by President Obama on December 27, 2012 and can be found on the White House website. Millions of Turkeys Affected by Avian Flu – Fiction! Brian Kolfage Letter To Obama-Under Investigation!